This week started with the Tigers facing University Academy during the Easter break. The Eater Bunny loaded the Tigers’ basket with runs that would last all week long. Scoring came early for the ladies as Ragan Hale started it off with a solo home run. It would not be the only runners advancing past the home plate in the inning. Saint Mary’s would add eight more runs and only allow one in the bottom of the frame. That run would be the only scoring for the Lions and the Tigers would plate ten more for a final of 19-1. The ladies were red hot on the bat and had 13 hits and aided by the pitching of Meredith Matt. Second verse same as the first. Enter Tuesday’s game against Northwood Lena. The Easter bunny was still delivering presents for the Tigers and the runs would again come early. Saint Mary’s scored five runs in the first inning. Reagan Davis had the pitching honors this outing and did not disappoint in the effort. She allowed no runs through the five innings she was on the mound. The final tally was Saint Mary’s 13, Northwood 0. The lady Tigers racked up 10 hits in the contest. Day three of post confectionary stupor had similar results for the Tiger softball squad. The Tigers played a double header against the Block Bears and posted 19 runs on 6 hits. Ten runs would cross home plate in the second inning alone. Six lady Tigers posted RBI’s in the ten run second inning. Meredith Matt allowed only one hit and one run on three innings of work. Saint Mary’s was merciless on the bases by stealing six and putting continued pressure on the Bears’ defense. Olivia Miller stole three bases in the game. Game two was additional chocolate for the Tigers who have a basket full. Saint Mary’s allowed four runs in the first inning before settling in to solid defense. The Tigers would push through the early adversity and plat runners in four straight inning. They had six in the first, four in the second and third innings and two more in the fourth. The ladies had only one error in the field and Maria Bienvenu was spectacular at the plate. She had doubles in the first, second and fourth innings and a single in the third. The result was a 16-5 victory in game two. The last game of district play for the Lady Tigers would come on Thursday against Logansport. Saint Mary’s is tied for the district Championship with defending 1A State Champion LaSalle. The home team lady Tigers tried to deliver a statement to the district. They went on an offensive explosion in the fourth inning putting ten runners across. The blow out inning came on RBI’s from Meredith Matt, Makenzie Methvin, Reagan Davis, Chloe Longlois, Ragan Hale and Maria Bienvenu. The victory would be sealed after four innings and a score of 15-0. Saint Mary’s currently shares the District Championship with LaSalle since they split games during the season. The lady Tigers are on a hitting streak at the right time of the year. 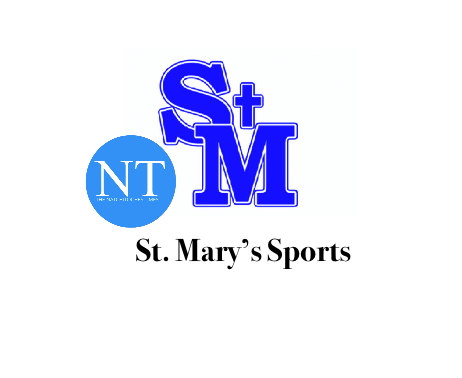 If you are keeping count, the Saint Mary’s softball Tigers outscored opponents 82-7 for the week. Next action is Friday against Natchitoches Central. The bunny rabbit was sure kind to the Tigers this week and maybe, just maybe there are some more treats in the basket as post season play is quickly approaching.